Manufacturer & exporter of Corrugated Boxes. We offer E Flute and N Flute Boxes with greater strength and durability. 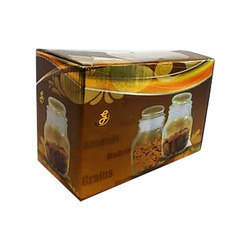 Our product range also comprises of Sweet Boxes, Pharma Cartons and Toy and Game Boxes. Printed Corrugated boxes with matte and gloss finish are available in various customized sizes as per the customer's requirement. This box is E-flute corrugated box printed in multi-color. 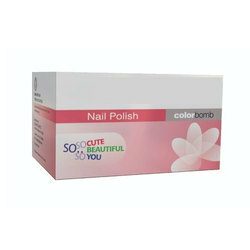 This is a sinlge color corrugated box with special metallic effect. 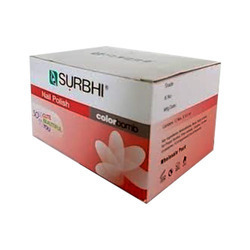 These are widely used to keep clothes, soaps, papers plastics, stationary and other gift items. These are appreciated and in demand for its diverse attributes. It has special locking style as well. Best suited in 3ply and 5ply liners. 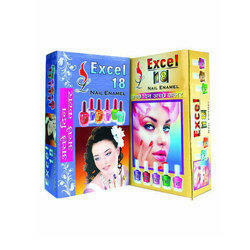 We design and manufacture nail enamel boxes. These are generally corrugated boxes, however we have other solutions to provide cost effective packages. These are produced in many SKUs and different sizes to meet the customers requirement. We are organized manufacturers and supplier corrugated boxes. They are used to package various cargo products, which requires heavy packaging. They are made using quality materials to have a safe and hassle free transportation. We are recognized manufacturers corrugated boxes. They are used to keep heavy duty material and products. They are safe and made as per the various industry standards and can be customized as per the clients requirements. These mailer boxes are plain or have few printed elements. These boxes are sturdy and durable to protect the product during the transit period.